A controversial new method for addressing juvenile crime stalled after a murder charge for one participant. But instead of backing off, prosecutors are doubling down. He was a risky proposition from the start. But that was precisely why prosecutors were interested in Diego Carballo-Oliveros. The 16-year-old had been charged with two robberies, appeared capable of considerable violence and faced the possibility of years locked in a juvenile jail. With stakes that high, Carballo-Oliveros could have been the ideal test case, the kid who proved that a therapeutic approach to juvenile justice could catch the most challenging teens before they graduated to a lifetime in prison. Instead, he became the boy who nearly dashed King County’s fledgling effort to confront youth crime in new ways. 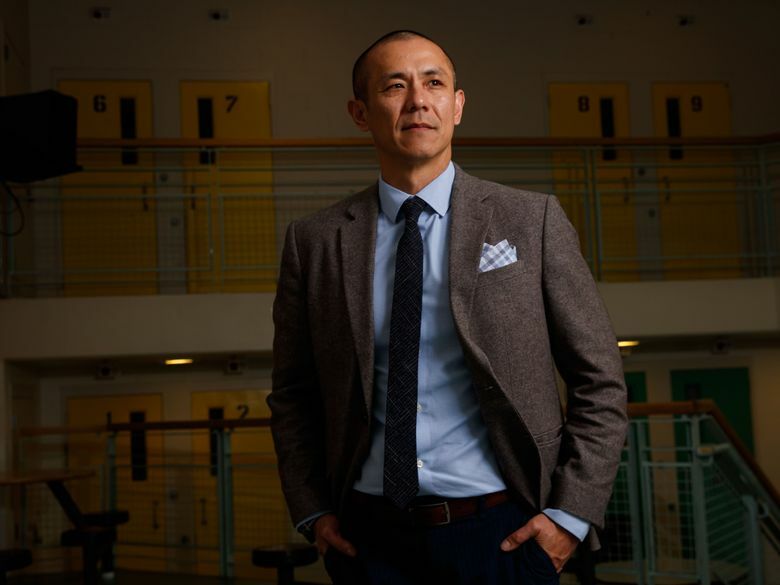 He’d come to the attention of Chief Juvenile Prosecutor Jimmy Hung in 2016, at a time when the criminal-court veteran found himself exasperated by the endlessly repeating cycle of lockup, release, new charges and more lockup. At best, Hung thought, juvenile detention might leave kids in the same place they’d started. It hardly ever set them on a better path. Peacemaking circles — a lengthy process designed to increase empathy and strengthen bonds between kids and their communities — offered the hope of something different. King County prosecutors had already used it with two young men facing robbery and harassment charges, and both had cleared their records. Another group of young men from Kent was also showing progress. So Hung pushed his misgivings to the side and took a chance on Carballo-Oliveros. After some false starts, all seemed to be moving in the right direction. Carballo-Oliveros told a crowd of 30 adults gathered for his pre-sentencing circle that he’d toyed with them at first — lying, cutting off his electronic monitoring bracelet — but now understood the harm he’d done. Two weeks later, Carballo-Oliveros was charged with first-degree murder, accused of stabbing a 15-year-old to death a month earlier. The term “peacemaking circle” sounds so New Age, many criminal lawyers won’t say it out loud. But King County Prosecutor Dan Satterberg believes the approach — focused on healing rather than punishment, self-reflection rather than incarceration — offers the best chance for stemming juvenile crime. Each circle begins by burning sage and progresses with a talking stick (or feather) passed from hand to hand, followed by months of self-reflection and many hours of sitting in a circle with counselors, family members, victim advocates, educators and a juvenile-court judge. The crime Carballo-Oliveros has been charged with — the slaying of Derek “Peachy” Lopez, a day before the budding poet was to begin his sophomore year at Chief Sealth High — has not deterred Satterberg. But it did prompt months of hard questioning. Carballo-Oliveros and his two alleged accomplices have pleaded not guilty to the crime and are locked in juvenile-detention cells, awaiting trial. Meanwhile, upstairs in juvenile court, judges horrified at the case have refused to take any more peace-circle kids until the entire process — from selecting candidates, to defining success, failure and its consequences — is set down on paper. Until Lopez’s death, prospective cases were chosen based on little more than Hung’s gut. Certain crimes — including murder, sexual assault, intimate-partner violence and kidnapping — were always off the table for peacemaking. But the Carballo-Oliveros case has since prompted Hung to reconsider the criteria for others — including those the 16-year-old had been accused of. Judges are now weighing whether to use circles for lessening criminal sentences after a teen has already pleaded guilty in court. But the next potential case hardly suggests backpedaling. It involves a 16-year-old from Auburn charged with a particularly brutal convenience-store robbery. 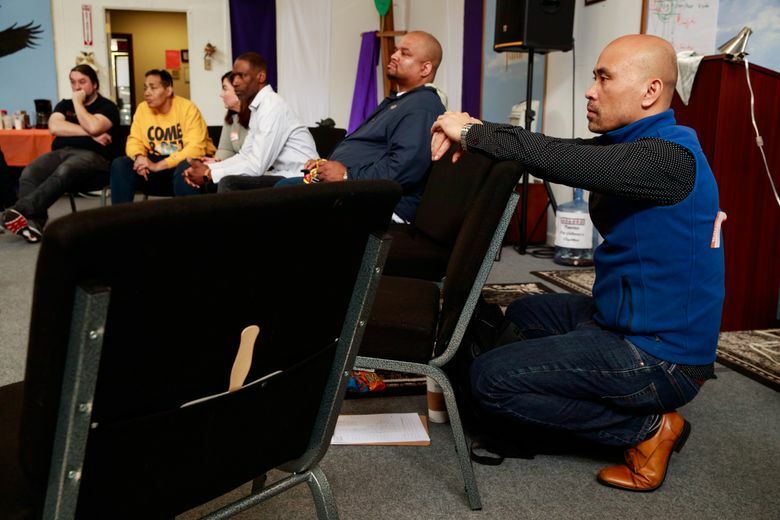 “The greatest benefit of this work comes with those facing the most serious charges, because they’re the ones with the most work to do,” said juvenile court Judge Wesley Saint Clair, who has been proselytizing for peacemaking, despite his colleagues’ skepticism. 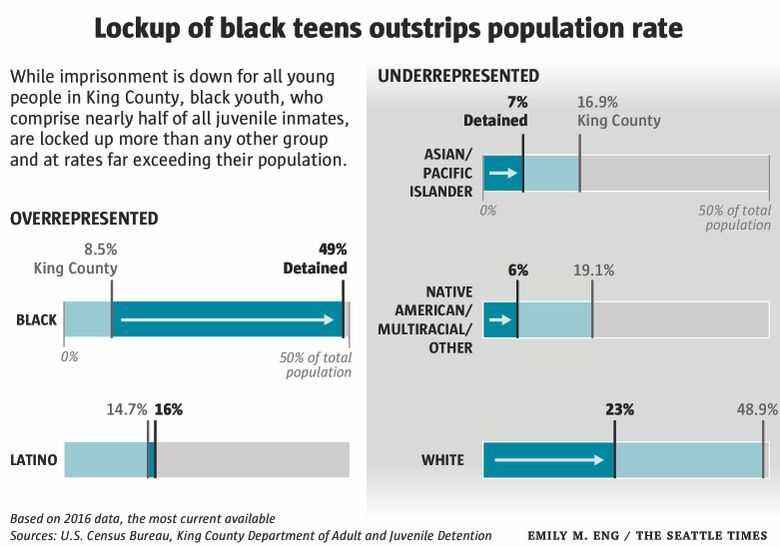 Much of the drive for new answers stems from persistently skewed juvenile inmate lists in King County, and the fact that many of these kids are the second or third generation in their families to sleep in those cells. On any given day, about 50 teens live there, awaiting trial on charges ranging from murder to probation violations. That number is down by 59 percent compared with a decade ago. 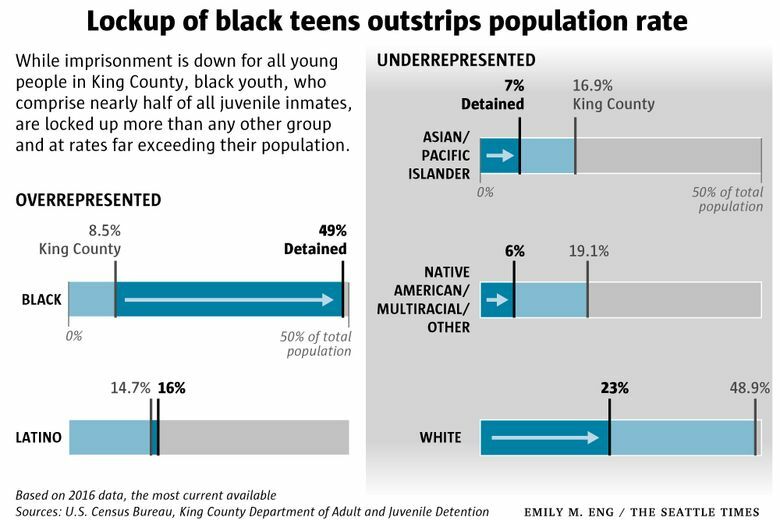 But black teens remain vastly overrepresented, making up half of all inmates in detention though they are only 8 percent of the kids in King County. Meanwhile, King County Executive Dow Constantine has vowed “zero detention” for all kids — even as a youth jail is being built right outside Hung’s office window. “Detention’s not a good place to be — I worked in that building for 10 years and the bathrooms are so filthy I didn’t even want to wash my hands in them — but we tell kids to take showers there? If we’re going to house people, let’s at least house them humanely,” said Marcus Stubblefield, who works for Constantine as a liaison between the courts and schools. Stubblefield supports the peacemaking approach, which at an average of $11,000 per case is far less costly than the $100,000 it takes to house one teen for a year in lockup. A court in Brooklyn has been using it successfully for six years. So have Alameda, California; Washtenaw County, Michigan; and Cook County, Illinois — though not exclusively for youth crimes. The aspect most troubling to Saint Clair and other judges has been the lack of victim participation in King County. Prosecutors won’t green-light defendants for peacemaking unless their victims approve, but so far only one has actually agreed to sit in a circle. That young man became so angry at the emphasis on humanizing his harasser, he never returned. His mother, however, remained involved — initially out of outrage. Two years later, she says the process has changed her. Peachy Lopez’s 19-year-old sister, Italia, can’t envision ever feeling that way. Yet she too wants a more reflective approach. The major force behind peacemaking in King County is neither a prosecutor nor judge, but a former Cambodian gang member who learned the technique from members of the Tagish/Tlingit First Nation and adapted it for crime prevention 20 years ago in East Boston. By 2012, Saroeum Phoung had been invited to Seattle to train Saint Clair and several others from juvenile court. 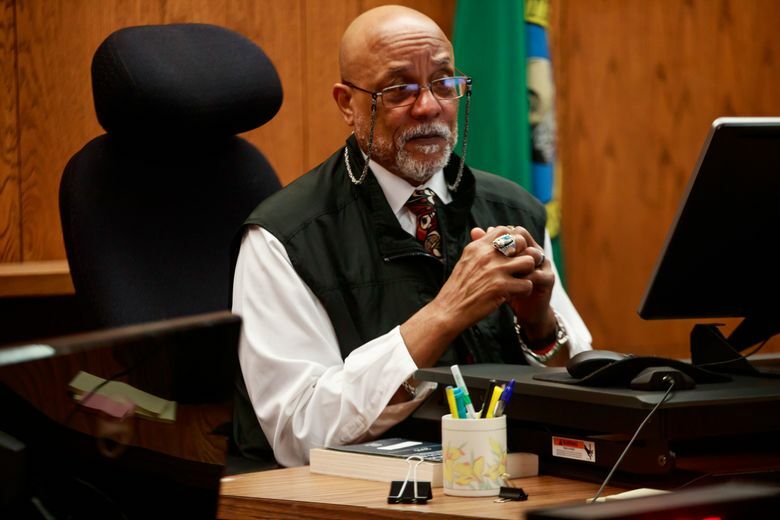 In 2016, he was hired by King County, and has been leading circles ever since, most recently with a dozen young men facing gun charges in Kent. Their outcomes give some sense of the stakes. Of the seven teens who graduated Phoung’s Young Warriors program last year, none have racked up new criminal charges. But among those who fell away, one has been in and out of detention, another is homeless and a third is dead. Almost every week that the Young Warriors gathered for their circle, Rimon Mensur, 18, was on hand, listening. 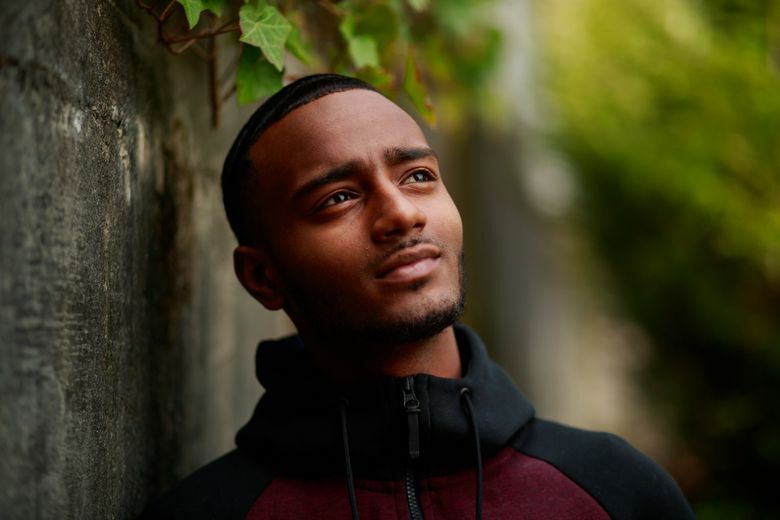 Three years ago, he was a quiet but angry kid, disconnected from his mother, and wandering through classes at Rainier Beach High with dim prospects for graduating. Then he was charged with robbery. Mensur faced two years in a youth jail. But Hung took him on as the first felony peacemaking case in King County. Progress was rocky. Mensur often threatened to walk away, thinking imprisonment might be easier. Almost no one, least of all him, imagined the conversation that took place two months ago, during a chance meeting at a QFC deli counter. “Aren’t you Rimon?’” asked the cashier, visibly nervous. Yes, Mensur answered, unaware of who he was talking to. “I’m so sorry, man. I never should have called the cops,” the deli clerk blurted out. In an instant, Mensur understood. The clerk was the man he had robbed three years earlier. But now, rather than bitterness toward the young man, Mensur felt gratitude. During the time he could have been locked away, Mensur had instead been granted the chance to focus on his problems. He’d graduated from high school, found a job and begun working toward a college degree. On free days, he helps Phoung run new peacemaking circles. This story has been updated to show the juvenile crimes that were never eligible for peacemaking circles.